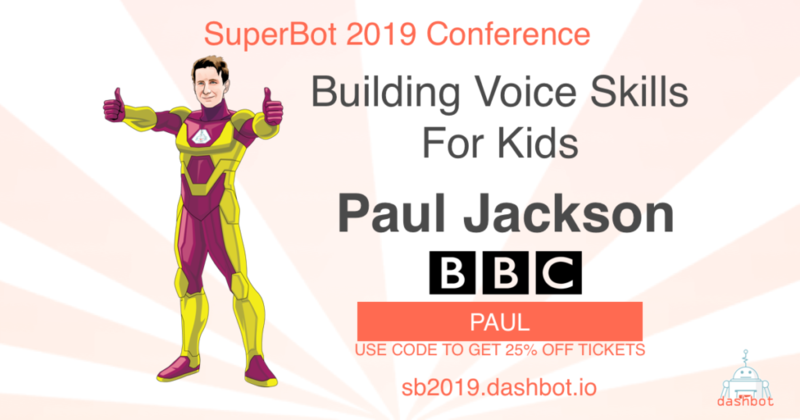 BBC UX Designer Paul Jackson will be speaking at SuperBot 2019 this spring to share process on designing great conversations through voice tech. Paul Jackson is a Senior UX Designer in the Voice + AI team at the BBC. He has been designing, prototyping and building digital products for over 15 years, counting Disney, Honda and Nintendo amongst his previous clients. In 2018, Paul lead the design of the BBC Kids Skill, an award winning voice experience that allows children as young as three years old to choose the games, stories and songs they love from their favourite CBeebies brands. Paul studied English & Film at Manchester Metropolitan University, where he graduated with a First Class Honours Degree. For his dissertation he submitted a screenplay.